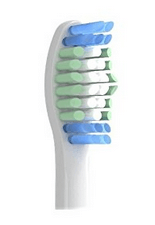 The Philips Sonicare Essence and Essence Plus toothbrushes are the entry-level rechargeable brushes with basic features at an affordable price. We’re going to cover the current models that are listed on the Philips Sonicare product page, but there are other supported models in the Essence and Essence+ series. We just want to cover the most up-to-date models available as of 2018. As new models are introduced, you will find the updated reviews here. What are the main differences between the Essence and Essence+ models? The Sonicare Essence (HX5611/01) Model is only compatible with e-Series brush heads, while the Essence+ models are compatible with just about every other Sonicare replacement brush head. The Sonicare Essence+ Models have the Quadpacer feature. Sonicare Essence+ Models are compatible with 110-220 VAC power outlets. This is great if you travel outside of North America. Being able to use the various Sonicare brushes is a huge plus for the Essence+ toothbrushes. If you find you don’t like the e-Series brushes available for the Essence, then you don’t have any options. With the Essence+, you can buy replacement brush heads and not have to worry about them being useless later on if you want to upgrade your toothbrush to another Sonicare model. The Quadpacer prompts you to switch to each section of your teeth during the 2-minute brushing session. Both the Essence and Essence+ models have the Smartimer (2-minute timer) feature. The Quadpacer helps you make sure that you spend equal time on each section of your teeth. The Sonicare Essence brushes are the most basic rechargeable toothbrushes made by Philips. You get a 2-year warranty, Smartimer (2-minute timer), 31,000 strokes per minute, and a NiMH battery. They are only compatible with the e-Series brush heads. There are 6 current Sonicare Essence Plus models available, and they differ by color and brush style. Each of these Sonicare Essence Plus models come with the Smartimer, Quadpacer, 2-year warranty, and 110-220V compatibility. The max speed is 31,000 strokes per minute. Here we’ve denoted the color and brush head that is included with each model. They are all cross-compatible with every other brush type. Here’s a quick look at a few of the Sonicare Essence and Essence Plus models in a table format. As we mentioned before, the most significant difference between the Sonicare Essence and Essence Plus toothbrushes is their brush compatibility. They have the same 31,000 strokes per minute rating, so concerning brushing performance, they will be nearly identical. The main difference being the type of brush head you can use. Both the Essence and Essence Plus have a single brush mode and intensity. They also come with the Easy-Start feature, just like all Sonicare brushes, which slowly increases the intensity as you use the brush. This feature is only meant to get you adjusted to using an electric toothbrush and affects the first 12 brush sessions with the Essence and Essence Plus models. To advance through the Easy-Start routine, you have to use the brush for at least one minute each session. Over the course of 12 brush sessions, it will have reached its maximum intensity that it will stay at for the remainder of its life. The Sonicare toothbrushes make sideways movements, while rotary/oscillation toothbrushes (Oral-B) make rotating and back & forth movements. 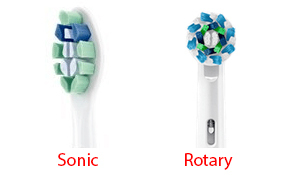 As you can see the rotary brushes are circular and spin, while the sonic brushes are oval-like and vibrate sideways. You might wonder whether or not this makes any difference and if you should care. Rather than provide you anecdotal evidence from our individual experiences with these electric toothbrushes, it’s best we refer to clinical research from scientists that have spent their lives studying dental health. If you want to learn more checkout the Sonicare Wiki. To summarize here, any modern electric toothbrush is going too far outperform a manual toothbrush in every aspect of your dental health. Sonicare toothbrushes excel at reducing gingival inflammation and improving periodontal health, but Oral-B rotary/oscillation toothbrushes may be slightly better at plaque removal. In a side-by-side comparison, are you going to be able to tell if someone brushed with a rotary or sonic toothbrush? Probably not. The best thing you can do for your dental health is just be consistent and thorough. Brush twice daily and don’t miss spots. You can always brush longer if you have some problem areas that you need to focus on. With that said, there are ton more features in the high-end models to consider that impact your experience more than the number of brush strokes. The Sonicare 2-Series is (as of May 2018) around the same price point as the Sonicare Essence Plus. There is only one “current” model of the 2-Series available, the HX6211/07. NiMH Rechargeable Battery; 2 weeks on a single charge. This is very similar to the Essence Plus series, but you don’t get the Quadpacer. It seems likely that this brush series will get phased out eventually, as it’s redundant at this point. However, that means you might find a great sale, and this brush is worth picking up at a discount. Compatible with the Sonicare Essence toothbrushes. Angled neck for hard to reach places. Compatible with the Sonicare Essence toothbrushes. Gentle brush for sensitive teeth. Angled neck for hard to reach places. Compatible with the Sonicare Essence toothbrushes. Smaller brush for focused cleaning. Angled neck for hard to reach places. As we mentioned before the Essence handle attaches to the brush differently than the Essence Plus (and all other Sonicare models), so it is only compatible with the E-Series brushes. There are many reviews about the Sonicare Essence+ complaining that it’s defective because the brush head doesn’t sit completely flush with the handle. There is a slight gap between them. As stated by Philips, this is completely normal and intentional. One reason might be friction. If the brush head sat perfectly flush and tight against the handle, it would potentially reduce the intended vibrations of the brush head. Philips doesn’t provide a specific reason, but they do say it’s perfectly normal and intended. In fact, it doesn’t affect your brushing experience at all. There is a large variety of brush heads available to the Essence Plus toothbrushes, and these are the same brushes you can use with the high-end FlexCare and DiamondClean models. At face value, the large variety of brushes seems excellent. However, it’s somewhat bizarre to name a brush head “ProResults Plaque Control” and state that it removes 6x as much plaque as a manual toothbrush, then at the same time have 3 other brush heads that they claim to remove 7x to 10x more than a manual toothbrush. Shouldn’t your best plaque removal brush be called “Plaque Control”? It’s difficult to buy into these distinctions between brush heads. Regarding brush feeling, the SimplyClean, DiamondClean, and Adaptive clean seem to just feel good in your mouth. The extended fiber sections of the InterCare are meant to help get in the area between your teeth as much as possible. This is entirely subjective and will vary with each user. With that said, you can’t go wrong with any of these. Those are the stated plaque removal numbers and design purpose of each of the Sonicare replacement brushes. Typically, each of the different models in a series – such as the Essence Plus, DiamondClean, or FlexCare – come with a different brush head. This gives you exposure to one of the brush heads, which you can then choose to go with a different style when you need to buy replacements. It’s not clear whether or not there is a significant performance difference among the different brush heads, so we prefer to go with what’s more comfortable. Try one out and switch to a different style when you need replacements until you find the right one for you. Philips Sonicare has moved towards using Lithium Ion batteries in the majority of its electric toothbrushes. However, the more affordable models such as the Essence and Essence Plus are still using NiMH. This is primarily a cost-cutting measure as to maintain a “budget” series of electric toothbrushes they have to use a more affordable battery. NiMH batteries are ubiquitous because they’re inexpensive, but they generally don’t survive as long as Lithium Ion. One of the reasons NiMH batteries often fail is the charger provided by the product manufacturer might not be suited for leaving the device plugged in after it has been fully charged. This doesn’t seem to be an issue with Philips Sonicare toothbrushes, but it’s a good thing to know if you have a lot of NiMH powered devices in your home. It certainly doesn’t hurt to keep the toothbrush off the charger once it has been fully charged, but it’s also important to not let the battery drain empty. This can reduce the lifespan of NiMH batteries. As you can see, NiMH batteries are a bit more temperamental than Lithium Ion. The standard charger with the Essence Plus models is very compact. This does present an issue, however, due to their size, it’s very easy to knock over. This can be bad news if your trash can or toilet is right next to your sink, but be careful. The Essence charger has a broader base, which helps prevent this, but it’s still too small to provide enough stability if you bump it with your hand. With the larger Sonicare Essence Charger, you wrap up the cord around the base where the indention is that the brush handle sits in. This isn’t possible with the more compact Sonicare Essence Plus charger. A common issue with the Sonicare Essence models is that water and gunk get between the E-Series brush and the handle. The water can encourage mold growth, while everything else is just accumulation of dried toothpaste and residue. It’s important to keep this area clean on both the Essence and Essence Plus models. However, it seems to be less of an issue with the Essence Plus. Remove the brush head occasionally and be sure the area is clean. You should be changing the brush head once every 3 months as well. Q: What’s the best way to share the brush handle with multiple people? A: Depending on which brush head you buy, Sonicare replacement brushes are color coded at the base or have a shape (triangle, square, circle) on each handle so that you can remember which one is yours. As long as you swap out the brush head with your own, there’s no problem sharing the handle with multiple people. Q: Is it possible to use these toothbrushes in the shower? A: Yes, the Philips Sonicare toothbrushes are water resistant. Q: Is it safe to use with braces? A: It will take some getting used to if you’re switching from a manual toothbrush to an electric, but it’s important to be sure that you don’t apply to much pressure. It takes some time to adjust from having to do all the work yourself with a manual toothbrush to having to do very little with an electric. Having global voltage compatibility isn’t a huge deal for most people in North America, but it’s important to realize before you decide to take your toothbrush for a trip outside North America. Even with a voltage adapter, you still won’t be able to use the Sonicare Essence toothbrushes in a European plug; only the Sonicare Essence+ models. 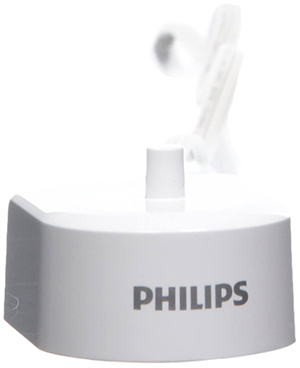 Philips produces a slightly different series of toothbrushes for European customers, which are compatible with 220 V plugs. If you’re a customer in the UK (or another country outside NA), be sure you’re purchasing from your countries’ store when using online retailers like Amazon. Here are links to similar models available in Europe. As of May 2018, the most common complaint with the Sonicare Essence toothbrushes is battery failure. This issue generally seems to happen during the warranty period, so you shouldn’t have any trouble getting a replacement from Philips. This leads us to believe there may be an issue with the charger continuing to try to charge the toothbrush after it is full. Early battery failure is one of the main reasons we advocate not leaving any battery powered electronics plugged in after they are fully charged, despite what the manufacturer may claim. The Sonicare Essence Plus models don’t seem to have this common battery issue. The Sonicare Essence Plus is an upgrade over the Essence regarding performance, features, and quality. It does take time to get accustomed to using an electric toothbrush if you’re just switching from a manual one. Give it a week before you get frustrated and leave a one-star review. We like the charging base for the Essence more than the Essence Plus, but that isn’t a big enough reason to favor the Essence. Compatibility with the complete set of Sonicare replacement brush heads is a more desirable feature. Have a good or bad experience with an Essence or Essence Plus toothbrush? Leave your thoughts in the comment section below! What brush heads do I buy for a Phillips sonacare model HX3211/02 ? The Essence+ model is not compatible with the same brush heads as the Essence, which can be confusing. The HX3211/02 typically comes with the Sonicare Sensitive brush head https://amzn.to/2HROULO. It’s also compatible with most of the other brush heads except the E-series type. The DiamondClean brush heads are also a good choice.